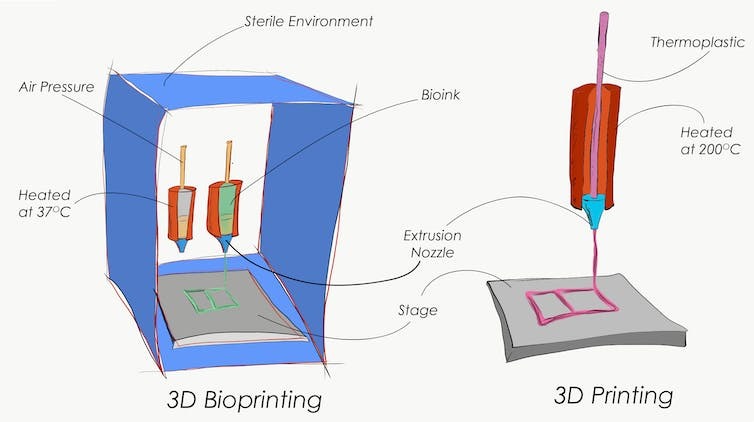 3D bioprinting is, needless to say, great cause for excitement. Usually, most people’s minds go immediately to one idea: the idea that in the future, we may be able to 3D print working human organs that can actually be transplanted into patients, saving their lives without requiring a donated organ from another person. It’s understandable that people are excited about that prospect; 3D bioprinted organs potentially carry tremendous advantages. People could receive lifesaving organ transplants right away, without having to wait for a donor match, eliminating the years-long wait lists as well as the guilt that comes from benefiting from the death of another person. In addition, the idea is that 3D printed organs are formed from the patient’s own stem cells, eliminating the risk of rejection and the need for immunosuppressive drugs. In reality, we probably won’t see 3D printed, transplantable human organs for several years yet. 3D printing an organ is more than just 3D printing layers of cells into the shape of a kidney or liver; those organs must be able to carry out all of the distinct functions of their natural counterparts, and they have to be capable of integrating with the body’s existing systems, which involves the development of nerves and blood vessels. Progress is being made in the development of 3D printed blood vessel networks, and the advancement that scientists have made over the last couple of years towards 3D printed organs really is remarkable, with working thyroid glands and ovariesbeing transplanted into mice, for example. 3D printing is starting to have a serious impact on the world of fashion, and we reported a few years ago on the work of Israeli fashion designer Danit Peleg, whose five-piece graduation collection for the prestigious Shenkar College of Design was entirely built using a desktop 3D printer. The pioneering fashionista has been busy since then, promoting the use of 3D printing technology to revolutionize garment design and production, and she has recently achieved a major industry milestone, with the first ever 3D printed jacket becoming available to order on her website. Peleg’s limited edition bomber-style jacket is made from a special rubber-like material, with a fabric lining. It can be personalized according to the customer’s size and colour preferences, and each item will be one of only 100 ever produced. With this exclusivity comes a pretty hefty price tag – each jacket will be set you back around $1,500. However, given the time and materials that were required for production, Peleg claims that this is a fair price, and why not pay a little extra to wear a piece of 3D printing history? Recently however, a number of hyped headlines about 3D printing have crept back. Some are simply clickbait, but others are simply uninformed hype, backed by equally uninformed content. Both are irritating, but the latter is more insidious. I have been using Twitter to take on some of the ridiculous 3D printing headlines that are proliferating across news sites and their social media channels once again. Are you ready for 4D Printing? 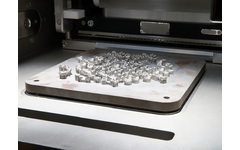 It took three decades for 3D printing to become a disruptive force in the supply chain and it’s still relatively immature, but 4D printing is starting to emerge as a further extension of additive manufacturing. According to Grandview Research, the global 4D printing market is estimated to reach US$64.5 million by 2019 and grow at a CAGR exceeding 33.2 percent from 2020 to 2025. The research firm attributes the growth to rising demand in the military and defense, aerospace, automotive, and healthcare industries. North America is expected to emerge as a dominant region for 4D printing market by 2025 due to high investments in research and development. 4D printing isn’t so much the eventual replacement of 3D printing technology as it is a superset, according to Grandview Research analyst Priyanka Bansal. It’s a technique that adds up time as the fourth dimension to a 3D printed object. 4D printed objects are programmed to change physical dimensions upon application of external stimuli, and the processes for manufacturing the final product are similar to 3D printing. The only difference comes in with the ability to change the shape, whereas 3D printed objects are not self-healing. Author Supercharg3dPosted on 26th July 2017 26th July 2017 Categories Paradigm Shift, TechnologyTags 4D Printing, TechnologyLeave a comment on Are you ready for 4D Printing? Crossrail, a £14.8 billion project to expand London’s underground train network, is using 3D printing in the construction of its tunnels. Competing alongside leading contractors including SKANSKA, BAM Nuttall and Balfour Beatty Civil Engineering, UK privately owned construction company Laing O’Rourke is using the technology to get the edge on tunnel building. Spanning over 100km, and connecting 40 stations from east to west, Crossrail is the largest construction project in Europe. The new tunnel under construction is named The Elizabeth Line after the reigning Queen Elizabeth II. 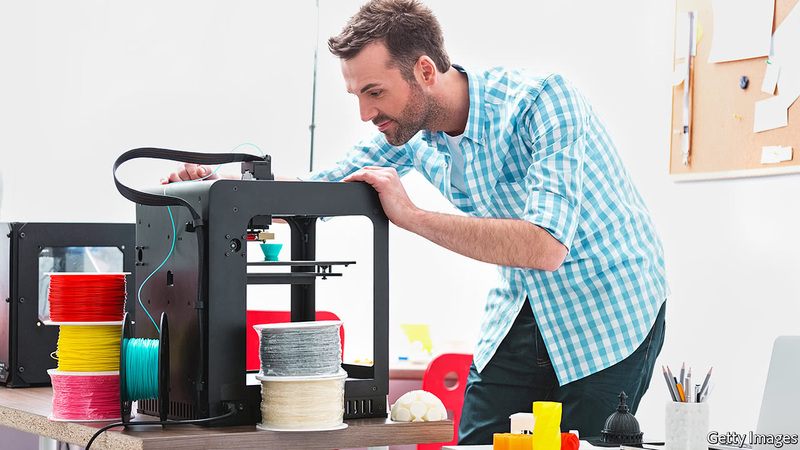 A recent report from the research firm CONTEXT shows that shipments of 3D printers were up 16 percent in the first quarter of 2017, with much of the growth emanating from mid-market offerings. This would encompass high-end desktop and low-end professional units selling for between $3,000 and $25,000. Higher-end professional units actually saw a decline of nearly eight percent when compared with Q1 of 2016. Overall, global 3D printer sales were up four percent in the first quarter, with metal printers spiking in demand. Additionally, the average price per unit of professional grade models increased from $111,241 to $128,549. Heightened demand actually dropped the average price of personal/desktop units from $1,142 to $970. Leading vendors in the personal/desktop market include XYZprinting, with 17,000 units sold and $8 million in revenue, and Ultimaker with 6,000 units sold and $17 million in revenue. In the professional category, Stratasys continues to be the market leader with nearly $100 million in Q1 sales. However, the biggest gain in market share was recorded by EOS. As a pioneer and leader in metal 3D printing, the German company registered $50 million in first quarter sales. This represents a 16 percent year-over-year increase. GROOT, a character from Disney’s film “Guardians of the Galaxy”, is usually mass-produced by the entertainment company as a small, collectable figurine and sold by retailers such as Toys “R” Us. But just before the release of the second film in the franchise earlier this year, Byambasuren Erdenejargal, a Mongolian enthusiast, noticed that people in a 3D-printing group on Facebook were searching for a computer model of Groot. So Mr Erdenejargal decided to create one. He spent four days perfecting the design and its printability before uploading his creation to Thingiverse, an online 3D-printing community based in New York. His digital model of the arboreal creature has since been downloaded (and probably printed in physical form) over 75,000 times. Fans of popular TV programmes and films have long used arts and crafts to express their attachment to fictional characters. Etsy, an online marketplace for artisanal products, is full of Harry Potter-inspired golden-snitch charms. But a combination of 3D modelling, scanning and cheap 3D printers allows fans to reproduce items like never before. 3D printing used to be an expensive product design tool, but it is quickly becoming an affordable and accessible technology. First emerging in the 1980s, the availability of low-cost, high-performance 3D printers has put the technology firmly within reach of consumers. While this provides a number of opportunities for designers and manufacturers, there is also concern around the impact on IP rights.